You’ve just unpacked your brand-new juicer, excited at the prospect of making healthy changes to the way you eat and live, when you realize you have no juice recipes for juicers. Here to help are five great starter recipes, perfect for the juicing beginner. 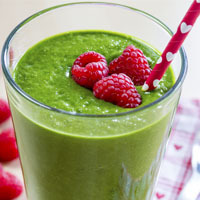 Green smoothies combine the rich nutrients of greens, which many of us do not enjoy eating on their own, with the sweet flavors of our favorite fruits, making for delicious, fruity juices filled to the brim with vitamins and minerals. 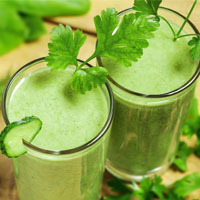 Green juices are a fantastic way to take advantage of your new juicer for maximum health benefits. The Green Supreme, below, will boost your energy and drastically improve your health, giving your body the nutrients it needs in one delicious glass of juice. The sweet fruity blend of apples and carrots in this drink is complemented by the zing and spice of fresh ginger. In addition to being a great anytime snack, this juice is a perfect pick for days when you feel under the weather or suffer from indigestion or an upset stomach. The nutrients will help your body get back into tip-top shape quickly, while the ginger will aid in settling any nausea you may feel. A perfect breakfast blend, this combination of sweet fruit juices is well-suited to those seeking to lose weight with a juicing regimen while still providing an ample amount of caloric energy and healthy nutrition. Using frozen strawberries instead of fresh will give this juice a thicker, colder texture closer to a shake. 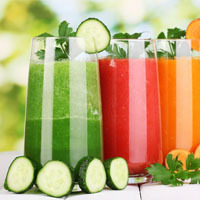 Many love the rich, spicy taste of V8 vegetable juice, and while it is packed with nutrients, making your own is much healthier, as the store-bought variety suffers from the addition of preservatives and far too much added sodium. Using your own fresh ingredients and adding salt to taste is a superior healthy and delicious choice. This recipe makes about two large servings. For those who like it hot, a pinch of cayenne pepper can easily be added, but be warned–a little goes a long way. This zesty drink is an ideal choice for times when you’re just feeling down. The scrumptious blend of berries and greens alone is sure to boost your mood, but the addition of St. John’s Wort, a well-known herbal antidote for depression, will have your spirits lifted in no time. These juice recipes for juicers should prove a great start on your new, healthy journey. As you try more combinations, let your imagination run wild. 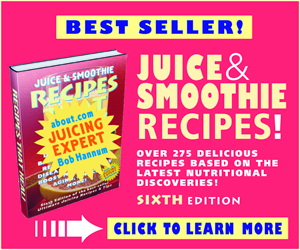 Juicing is a fun and delicious nutritious adventure.